Indian companies have explored such opportunities in the past but MRF has made history, inking with three EPL teams at one go. In what is being pitched as the biggest and the most intrusive marketing deal in the history of Sports Sponsorships in India, India’s automotive major MRF Tyres has wrapped up premium sponsorship of not one, not two but three English Premier League teams. EPL for the first time in its history has allowed teams to allow teams to secure sleeve sponsorships starting the 2017-18 season. 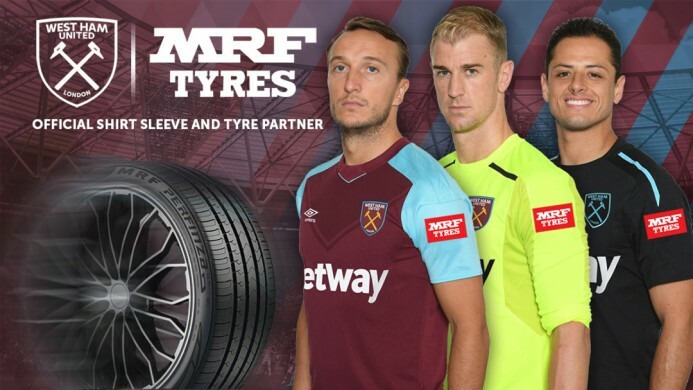 Sensing the opportunity, India’s MRF Tyres have wrapped up Sleeve Sponsorship opportunities with Newcastle United, West Bromwich Albion and West Ham United. Introducing Newcastle United's new shirt sleeve sponsor, @MRFWorldwide! 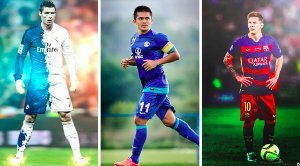 Earlier Indian companies like HCL and Wipro had secured deals with teams like Manchester United and Chelsea respectively, however, both the earlier deals partnership deals in nature and had no rights for the companies to gain a premium presence in the team uniforms. MRF Tyres, the Tamil Nadu based radial manufacturers broke records of sorts by snapping up rights to display their branding in three different Premier League teams this season. EPL is already dominating in India as the most watched football tournament leaving behind La Liga and UEFA Champions League. Koshy Varghese, Executive Vice President, Marketing of MRF commented, “We are delighted to join West Ham United, Newcastle United and West Bromwich Albion as their first ever sleeve sponsor. “ Welcoming MRF to their family Karren Brady, Hammers Vice-Chairman, said: “On behalf of everyone at West Ham United I’d like to welcome MRF to our family of partners. MRF join us at an important time in our history as we embark on our second season at London Stadium and look to grow as a club on and off the pitch. 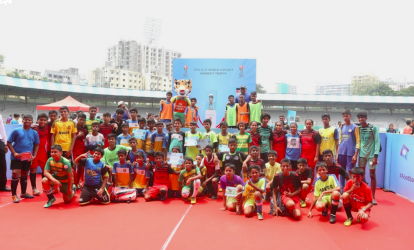 Creating ripples in the sponsorship industry MRF is iconic for their partnership with iconic cricketers like Sachin Tendulkar, AB De Villiers, Virat Kohli, Shikhar Dhawan and so on. They have also been an active promoter of Formula 1600 and 2000 series as well as one of the Global Partners of ICC Cricket World Cups till 2019. With MRF having already gaining first mover advantage in EPL, we would expect more Indian companies to open up to more such opportunities in the future. Who knows that this may even lead to EPL teams coming down to India for their Pre Seasons in the near future? 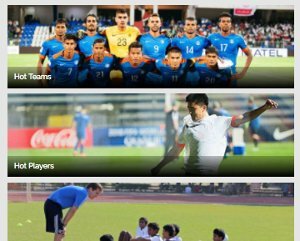 FIFA U-17 World Cup Winner's Trophy at the Gateway of India tomorrow!